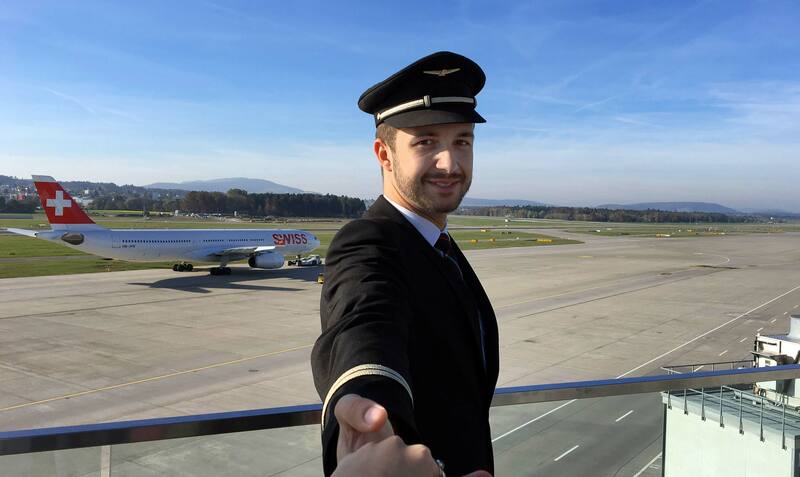 Pierre König has been a pilot with SWISS since September 2015. The 24-year-old already loves the harbour town of Nice from the air: "The approach is challenging, but also one of the loveliest and most interesting ones in our network." For Pierre, Nice has one major advantage over other cities: the beach. "After landing and when we are on the way to the hotel, we quite literally are given a warm welcome by the sun, beach and palms." The French harbour town has much to offer. There is much more to it than luxurious beach clubs and yachts. The versatile city is full of surprises, and can be explored in many different ways. SWISS flies daily to Nice (NCE) from Zurich (ZRH). A hearty breakfast awaits Pierre on the short flight from Zurich to Nice. Fresh fruit, rolls, cold meats and cheese make for an excellent start to the day. The plane arrives soon in Nice. The view over the harbour town is amazing. Nice shows itself from its best side. Those who arrive in Nice in the morning can make good use of the time and jog along the promenade towards Mont Boron. And if you don't feel like jogging, inline skates are just as suitable. Early birds really do get the worm: "The sunrise is unbelievable. That moment when the sun breaks through the mountains – just wonderful!" Pierre missed it this time, but the route is just a wonderful in daylight. Arriving on Coco Beach, you are rewarded with fabulous views and clear water. "There are lots of small and private beaches hidden among the rocky promontories." The area is particularly popular with locals, and is very much considered an insider's tip. All this activity gives you an appetite. For lunch there is delicious fish at La Focaccia. This traditional restaurant enchants its guests with Mediterranean specialities. Well refreshed, the next suggestion is another tour along the beach to the Château de Nice, either by bike or on foot. "The route is quite challenging, but it's worth it just for that." The castle lies above the old town. The views from the castle are twice as enjoyable with a glass of wine or an ice cream. After a break with fabulous views, it's worth taking a look at the narrow alleys – in a very special way: "There are a number of stands on the beach that offer Segway trips." When it comes to sightseeing, the 30-minute trip along the beach promenade, through the old town and with a quick sojourn into the centre leaves nothing to be desired. Pierre is a huge fan: "It's tremendous fun!" Enjoying the picturesque views of Nice again is the perfect way to end an extremely active day. Pierre's tip: the Aston La Scala Nice. It not only has a rooftop bar, but is also a restaurant that serves fabulous food. "I love ending the day with a drink, looking at the views of the town, the beach and the Promenade du Paillon." The next day starts at 06:55 hrs for Pierre with the return flight to Zurich.